Father Samuel Fahiem Samaan was born on September 20, 1936. He earned a Bachelor of Arts Degree from the Cairo University Faculty of Arts. 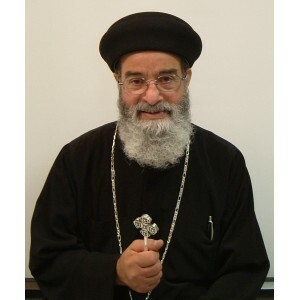 His Holiness Pope Shenouda III ordained him as a presbyter on May 27, 1991 for Saint Abanoub and Saint Antony Coptic Orthodox Church in Norco. In addition, he has served at the Church of Saint Mary in Victorville, California; Saint Mark Church in Phoenix, Arizona; Saint Demiana Church in San Diego, California; the Church of Archangel Rafael in Fresno, California; and St. George the New Martyr Church in Hemet to help establish the service in these churches. Father Samuel is remembered for his kindness, gentleness, and unceasing service to anyone in need, whether in his parish or elsewhere. On March 2, 2007, having completed his earthly mission in serving everyone, he departed in peace. A commemorative website featuring memories of Father Samuel is available at www.fathersamuel.com.